The library can be one of the best academic resources for college students. Whether you are studying for a test, working on a research project, or meeting with a group of classmates, university libraries have something for everyone! Students at Kean University are fortunate to have a wonderful library on campus with access to a plethora of resources. See below to learn about library resources you can find at Kean University. This service is available when students are in need of a resource that is not available at the campus library. The library will request the item from another university and when it comes in, it will be available for pick up at the circulation desk. Items such as articles and book chapters will be emailed to students. The Student Technology Lab provides students access to computers, printers, and DVD machines. The lab is designed to provide software support to students. The lab is open every day of the week. The library instruction program at Kean is called LEARN. This stands for “Library Essentials for Access and Research Navigation.” The program is accessed online through Blackboard. This resource provides students with information about completing research. This resource provides students with different ways to get their library questions answered. Students can ask questions through email, texting, tweeting, or in person at the reference desk. Students can also browse various topics on the “ask a librarian” portion of the library website. This service offers students tutoring on a walk-in or appointment basis. Tutoring sessions can be one-on-one or with a group. Tutors are available to help with classes from introductory classes to senior-level classes. This is a place for students to go to receive feedback on their writing. Students can make an appointment to go meet with a writing coach to help improve their writing. Undergraduates, graduates, faculty, and staff are all invited to make appointments and meet with writing coaches. When completing research, understanding how to correctly write citations can be one of the most difficult parts. Students can access the citation help portion of the library website to guide them through their research. The website contains help links for APA, Chicago, and MLA citation methods. Students also have access to Endnote online and Easybib to help them make accurate citations. The research guides are put together by the librarians. Students can access the research guides through the library website. They can search by topic and gain access to compiled resources related to that topic. This resource provides students with access to videos about creative, business, software, and technology skills. Using their school login, students can access over 4,000 courses and almost 176,000 video tutorials. This is the on-campus library at Kean University. The library contains over 200,000 books and more than 700,000 e-books. The library is also home to the Holocaust Resource Center. The library is open at 8:00 AM Monday through Friday, 9:00 AM on Saturday, and 3:00 PM on Sunday. Kean Ocean is located on the Ocean County College Campus in Toms River. 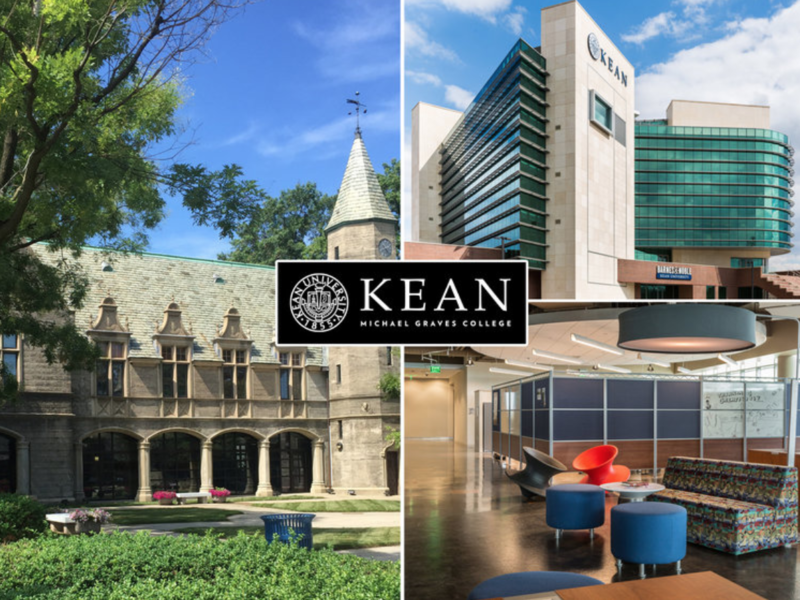 Students studying at this campus can receive an associates degree to be continued at the Kean main campus, or a four-year degree. Students at this campus have access to the Ocean County College Library. The library has over 80,000 books and 200,000 e-books. During the school year, the library opens Monday through Friday at 7:45 AM and on Saturday at 9:00 AM. While not an on-campus library, Union Public Library is a great local resource that students can use. Students can visit the physical library or access the 24/7 digital library. The library opens Monday through Saturday at 10:00 AM. While not an on-campus library, Hillside Public Library is a great local resource that students can use. The library has a physical collection, digital resources, and many fun events for students to attend. The library opens Monday through Saturday at 10:00 AM. The library is closed on Sunday and on Saturdays during the summer. While not an on-campus library, Irvington Public Library is a great local resource that students can use. This library has been in operation since 1915 and has over 180,000 books. The library opens Monday through Saturday at 9:00 AM. The library is closed on Sunday and on Saturdays during the summer.